Pipe Restoration Technologies, LLC, (PRT) makers of the ePIPE®, Lead-Free, Leak-Free™ and LeadSmart® product lines, announced that it has been granted U.S. patent #9611973, titled “Process for Coating the Interior Surfaces of Water Service Lines.” This patent is related to the ePIPE system of in-place pipe restoration which provides protection against harmful lead and copper leaching. Pipes protected with ePIPE reduce the leaching of toxic lead and copper into drinking water to well below U.S. Environmental Protection Agency (EPA) and World Health Organization (WHO) cut-off levels. Pipes from as small as 1/2” in diameter can be protected in-place using the patented ePIPE system and materials. ePIPE is approved to US NSF Std. 61 and UK’s DWI Reg 31 (4)(a) with a 2-hour return to service. ePIPE’s epoxy coating is one of the fastest NSF Std. 61 and DWI Reg 31 approved return-to-service epoxy lining products in the world. 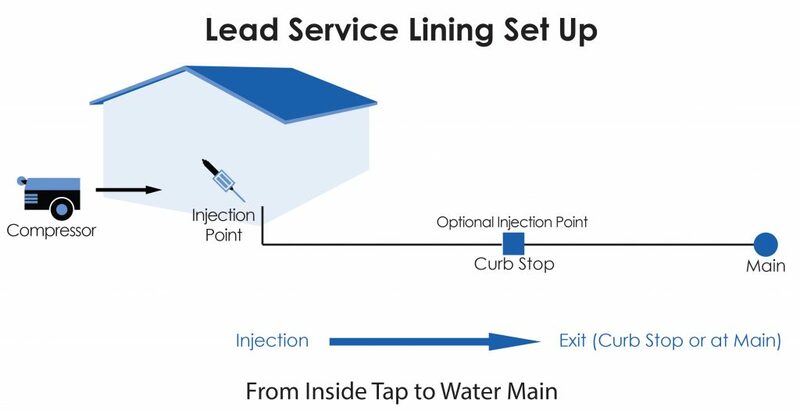 ePIPE is engineered and patented for protecting drinking water pipes from leaks and bringing lead leaching into compliance to the stringent WHO’s cut off level of 10 ppb (μg/l).